Buy on e-shop. 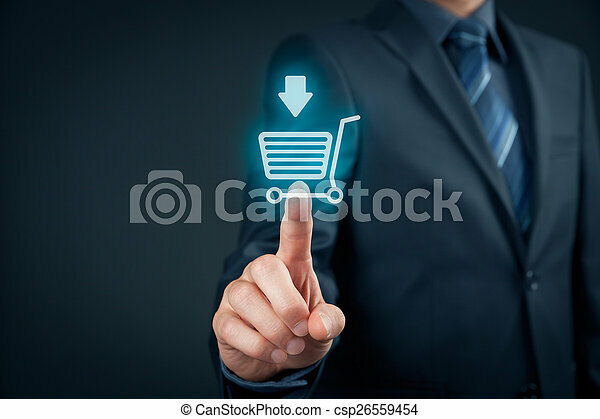 Businessman click on virtual e-shop button with shopping cart. 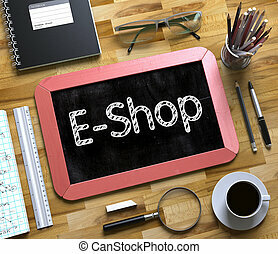 e-commerce and b2c, man buy or download online concept. 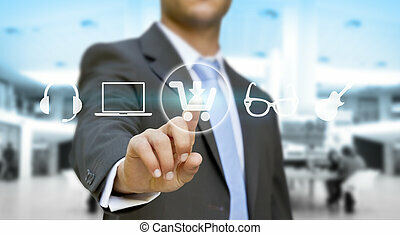 Businessman click on virtual e-shop button with shopping cart. 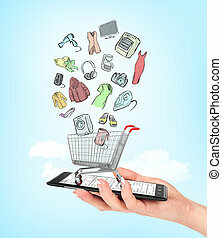 E-commerce and B2C, man buy or download online concept. Online shop concept. 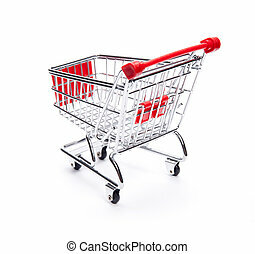 Female hand holding a phone on which stands empty shopping cart with colorful drawing goods. 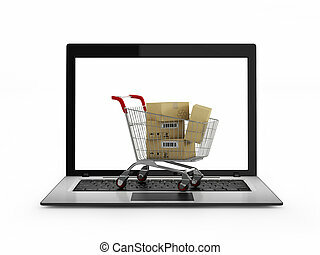 E-commerce. Online shop concept. 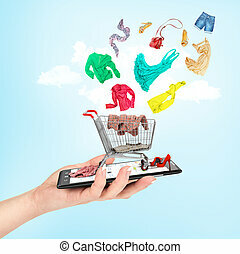 Female hand holding a phone on which stands a shopping cart with falling in her goods on sky background. E-commerce. 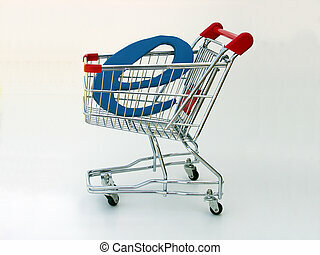 A miniature shopping cart isolated on white with a blue letter \"E\" in the basket depicting e-commerce or online shopping. 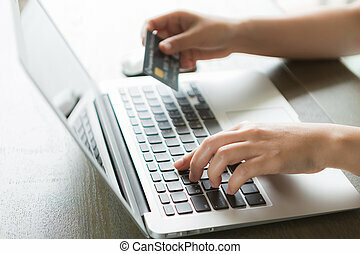 Male hand touching an online shopping button from behind. 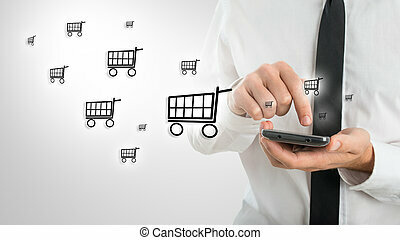 Man using a mobile phone to shop online as he surfs the internet and enters his information and purchase while emitting a clouds of shopping cart icons in a conceptual image. E-Shop Concept Slim Aluminum Keyboard with E-Shop on Blue Enter Keypad Background, Selected Focus. 3D Illustration. E-Shop - Text on Small Chalkboard.E-Shop - Red Small Chalkboard with Hand Drawn Text and Stationery on Office Desk. Top View. 3d Rendering. 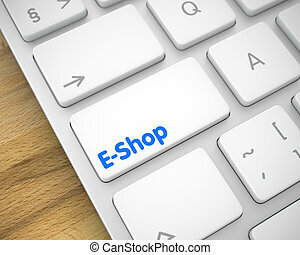 Online Service Concept: E-Shop on Modern Computer Keyboard Background. 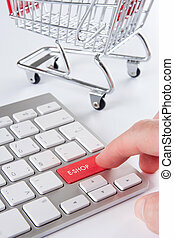 Online Service Concept with Modern Enter White Button on the Keyboard: E-Shop. 3D. 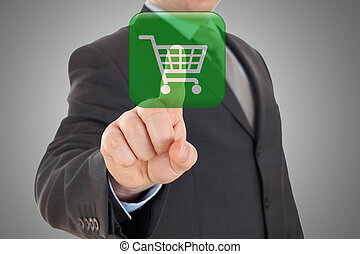 Businessman click on virtual e-shop button with shopping cart. E-commerce and B2C concept. 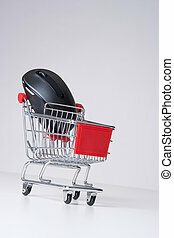 Woman click on virtual e-shop button with shopping cart. E-commerce and B2C concept. 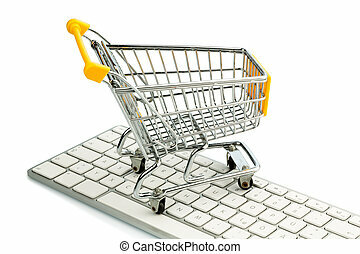 E-shop (e-commerce) concept - keyboard with buy text and shopping cart (shopping trolley) in background. 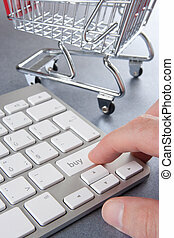 E-shop (e-commerce) concept - keyboard with e-shop text and shopping cart (shopping trolley) in background. Buy cloud computing service concept. 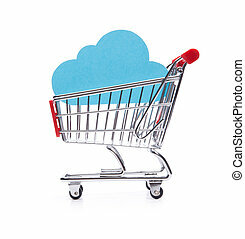 Cloud in shopping cart on white background. 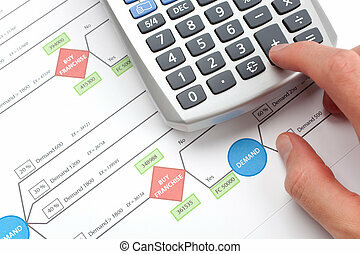 Making business decision about franchise (franchising). Printed decision tree and man calculating on calculator. 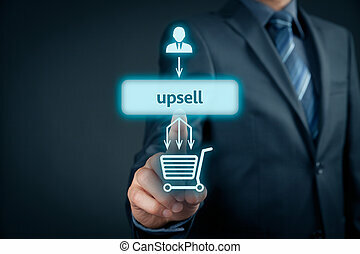 Upsell on-line (e-shop) marketing concept. Sales technique for more profitable sale. 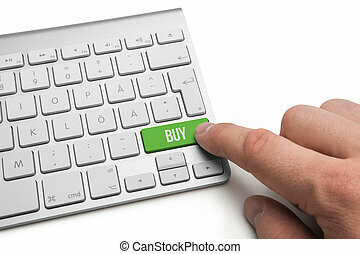 Businessman click on upsell button. Upsell on-line (e-shop) marketing concept. Sales technique for more profitable sale. 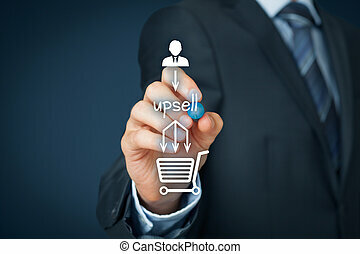 Businessman add upsell in buying process. Upselling on-line (e-shop) marketing concept. Sales technique for more profitable sale. 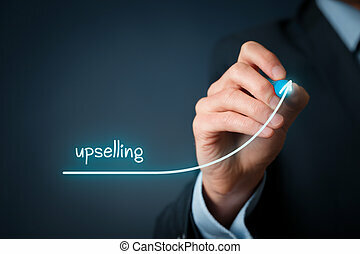 Businessman draw growing profit graph thanks upselling. Internet services concept. Man with laptop and icons representing on-line services - discussion, social media, e-mail, web page, e-shop, cloud computing, document, photo, music. 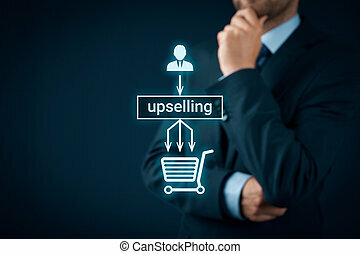 Upselling on-line (e-shop) marketing concept. Sales technique for more profitable sale. 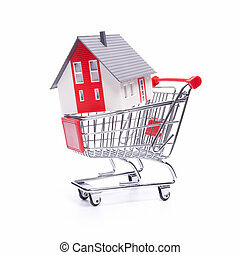 Businessman or marketing specialist think about upselling - from customers one item in shopping cart to three. 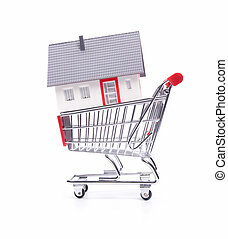 Buy new house concept - model of the house in shopping cart on white background.